You have other ideas for integrated cards? Share your suggestions with us, togehter we will find the perfect card solution for you E-Mail. 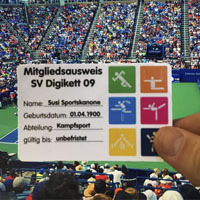 Membership cards represent your club or organization and should look good in any situation. It must be durable and whitstand many situations. Our membership cards are protected by a high-quality laminate layer. In order to make a simple card to a quality product, only the layout with logo and a personalize member name is missing. 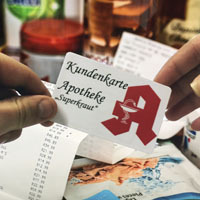 You are looking for printed or blank prescriptions cards and would like to print and personalize your own? 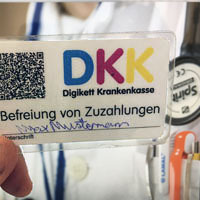 With an integrated prescription cards, it is easy to personalize individual cards with your printer. The useful thin plastic cards offer added value for your company and customers. Identification Badges are often found in everyday life. They are used for a wide range of applications. 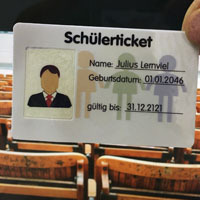 With integrated Student id cards, you can personalize all needed information directly to the laminated card on any laser printer. 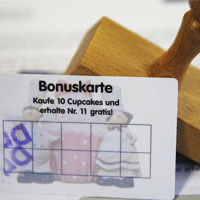 For retailers, bonus and loyalty cards are ideal for customer relationship and acquire new customers. 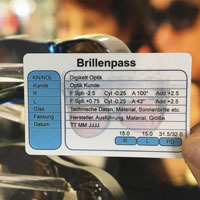 The laminated voucher cards have significant advantages and are well received by customers. The loyalty card is ideal for your your mailing because you can personalize the form with address and the integrated card at the same time. Integrated butterfly bagdes and conference passes are ideal for any Trade show or event. The Pre printed trade badge can be personlized on any laser printer in advance of the show including the invitation or directly on Spot. 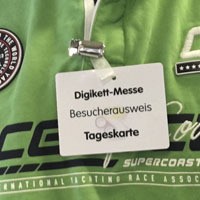 The printed conference pass can be personlized on any laser printer. 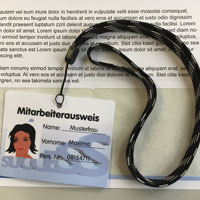 Employee IDs are used to easily identify your staff or visitors to your company and facility. Integrated cards are ideal as Staff and Visitos passes because they can be created within a very short time. Together with barcodes and other security features they are also suitable for access control of sensitive areas. 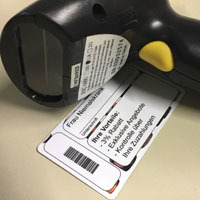 With Integrated Qr and barcode cards, you can apply individualized information in the form, which then can be read out. This information can either be preprinted our individual be printed with any laser printer. In many countrys donor cards are very common and either send out by healt services or organisations. 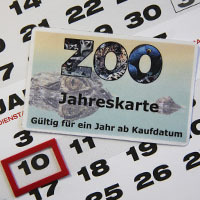 With an integrared donor card the needed information can be printed with a laserprinter or filled out by hand. 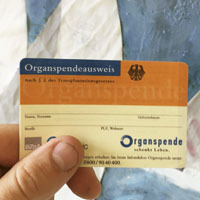 The donor card is integrated in the mailing and does not need to be packed seperately. 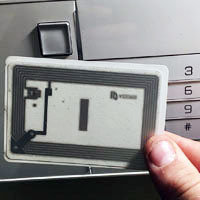 It is possible to integrate RFID chips into integrated cards. The transponder chip integrated in the document, makes it possible to read contactlessly from corresponding reading devices. Ideal as access control and to protect sensitive areas. The policyholder receives a integrated card from his insurance company, on which all relevant data. So he always can have all important information with him. The confidential data of the insured person do not have to be taken out of the company and can be laser printed on spot. Customer cards are widely used and many shops offer them. More information about integrated cards you can find on Integrated Cards.